Aimee Benavides is a Federally Certified and California Court Certified Spanish Interpreter. She has over 16 years of experience as an interpreter having been a full-time staff interpreter and currently as a freelance interpreter. She lives in Central California with her husband and 2 children. She is passionate about the profession and enjoys seeing all that can be accomplished when we work together. She states that the keys to success both for individual interpreters as well as the association include education, specialization, diversification, marketing, appropriate use of technology and outreach to clients including Bench and Bar. As a NAJIT member she looks forward to helping the Association move forward to improve transparency and member participation and confidence. Claudia was born and raised in Mexico and has lived in the United States for over thirty years. She believes Continuing Education is key to achieving a high level of professional expertise and encourages her colleagues to share their knowledge with other members of our profession. By practicing what she preaches, she earned her Federal Court Certification in 2005, passing both exams on her first try. She is also certified in the states of California, Indiana and Ohio and a Certified Trainer by SSTI/NAJIT, and CCC’s The Language of Justice, as well as one of the firsts Instructors for the Indiana Court Certification Program. Her interpreting career has allowed her to work all over the United States, in Mexico and Nicaragua. She has done extensive Forensic Transcription Translation work and is a very active member of various Social Media professional groups, where she enjoys participating, learning from her colleagues and sharing her points of view. 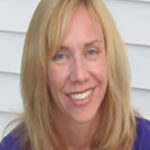 Hilda Shymanik is a Spanish Court Interpreter certified in New York, New Jersey, Illinois, and Wisconsin. She has more than nine years of experience in legal, medical, corporate, and non-profit settings. She is NAJIT’s Treasurer and former Director, President of the New York Circle of Translators (an ATA chapter), and a member of several other professional associations. Hilda is currently a Staff Interpreter at Essex County Superior Court in New Jersey. She has a Legal Interpreter Certificate from Waubonsee College and a Court Interpreter Certificate from NYU. Born in Chicago, Hilda lived for 20 years in Mexico and has travelled extensively around the world. She continuously looks for opportunities to promote and advance the interpreting profession with the New York State Unified Court System and local colleges in the state of New York. In addition, Hilda networks actively within the interpreting and translation community, including mentoring and advising students and other individuals new to the profession. Armando has degrees in Spanish Language and Literature, Psychology, and International Studies. He has been interpreting professionally since 1999 and became state certified as a court interpreter in 2000 and federally certified in 2002. 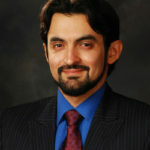 In 2012 he became certified by NAJIT as a Judiciary interpreter and Translator. He is also an ATA-certified translator who served as Administrator of ATA’s Interpreters’ Division. He is a Licensed Health Care Interpreting Trainer and has contributed to the creation of the CCHI national certification exam. 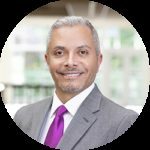 He has worked in the industry side of the profession, first as a Director of Quality Assurance and then as a Director of Programs for a major LSP. He currently resides in Philadelphia where he is a Professor of Interpretation and Translation Studies at La Salle University. He regularly speaks and has published on topics of interest to the profession. 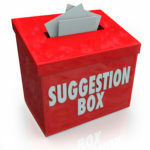 He is interested in hearing your ideas as to how to help strengthen, by promoting and defending the profession while representing it with the input and support of fellow NAJIT members. Teresa Salazar has been a practicing professional interpreter and translator for over 30 years, with a B.A. in International Relations from Boston University, and an M.A. in Translation and Interpretation from the Monterey Institute of International Studies. For 11 years, she was a free-lance interpreter working with the U.S. Department of State and other international organizations, as well as working with law enforcement on Title IIIs involving on-site interpretation and transcription and translation. 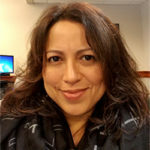 Ms. Salazar has also worked with the National Center for State Courts’ State Court Interpreter Certification, as well as being actively involved with the Federal Court Interpreter Certification Examination since the mid-90s. 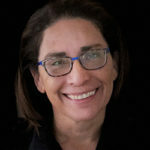 Currently, she is the Director of Interpreting Services at the US District Court for the District of Columbia where she recruits, contracts, and provides orientations as needed for interpreters, and also supervises her court’s participation in the federal Telephone Interpreting Program (TIP) which assists federal courts around the country which have limited access to qualified interpreters. From 2013 to 2017, she was an instructor in interpreting and translation at the University of Maryland’s Program in Graduate Studies in Interpreting and Translation. Teresa has been an active member of the Interagency Language Roundtable (ILR) chairing the Subcommittee on Skill Level Descriptions for Interpretation Performance, and worked on the ILR Skill Level Descriptions for Audio Translation Performance among other activities. Additionally, she participated on behalf of NAJIT on the original American Society for Testing and Materials (ASTM) drafting committee of the Standard Guide for Language Interpretation, and then participated independently on the drafting committee of the recently passed Standard Practice for Language Interpretation. Currently she is working on the drafting of a standard for interpreter testing, also under the auspices of ASTM.